208 pages | 34 B/W Illus. Wars have always been connected to images. From the representation of war on maps, panoramas, and paintings to the modern visual media of photography, film, and digital screens, images have played a central role in representing combat, military strategy, soldiers, and victims. Such images evoke a whole range of often unexpected emotions from ironic distance to boredom and disappointment. Why is that? 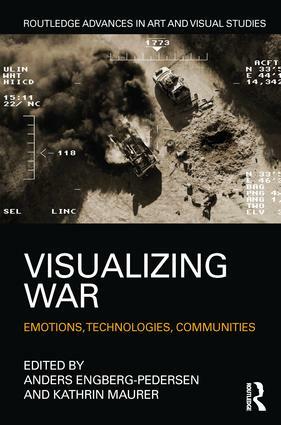 This book examines the emotional language of war images, how they entwine with various visual technologies, and how they can build emotional communities. The book engages in a cross-disciplinary dialogue between visual studies, literary studies, and media studies by discussing the links between images, emotions, technology, and community. From these different perspectives, the book provides a comprehensive overview of the nature and workings of war images from 1800 until today, and it offers a frame for thinking about the meaning of the images in contemporary wars. Anders Engberg-Pedersen is Associate Professor of Comparative Literature at the University of Southern Denmark. He holds a PhD from Harvard University in Comparative Literature and from Humboldt Universität in German Literature. He is the author of Empire of Chance: The Napoleonic Wars and the Disorder of Things and editor of Literature and Cartography: Theories, Histories, Genres. Kathrin Maurer is Associate Professor of German Literature at the University of Southern Denmark. She holds a PhD from Columbia University in German Literature and has also worked as an Assistant Professor at the University of Arizona. She is the author of Visualizing the Past: The Power of the Image in German Historicism.